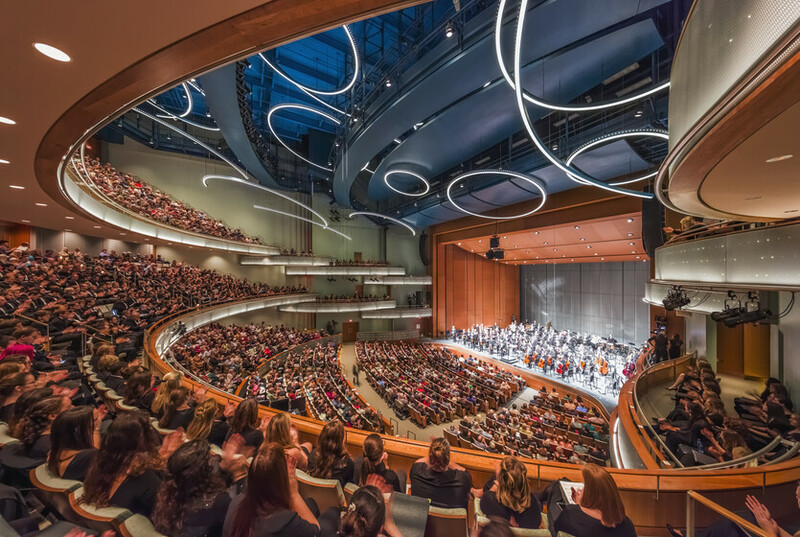 The Hancher Auditorium creates an exciting new performing arts venue for the University of Iowa that integrates sustainable design principles with a signature architecture expression. The project replaces the previous performing arts center destroyed in a flood in 2008. The new facility addresses resilience needs by siting the building out of the floodplain and sustainable landscape features for stormwater management and flood prevention. 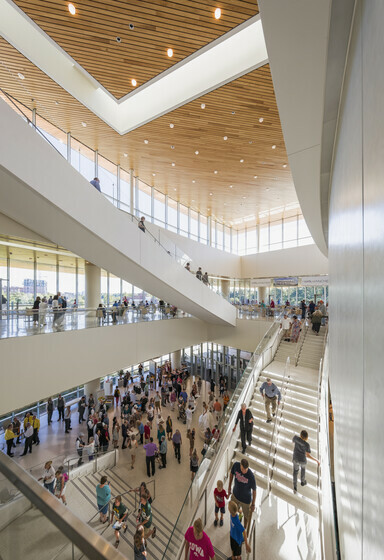 The building achieves high-performance design targets through well-balanced daylight in all public spaces and work spaces, while providing a tightly controlled visual and thermal environment for the large 1,800 seat performance space. 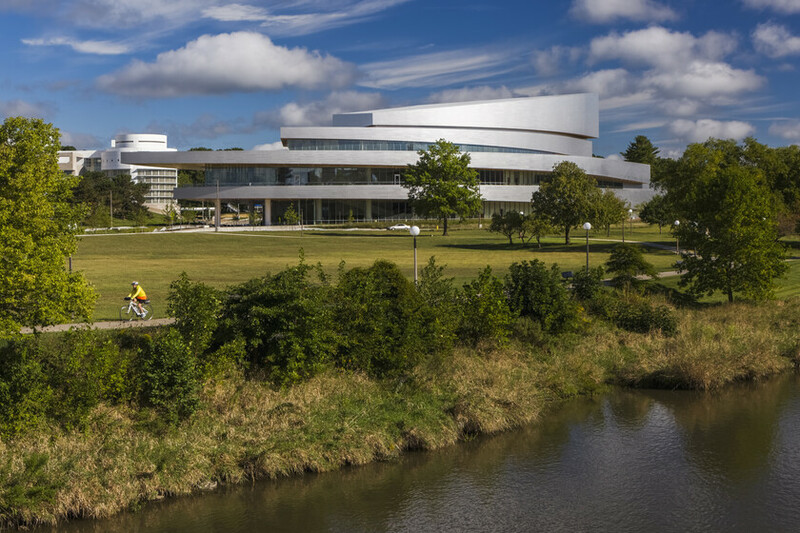 The building provides terraces and views to the Iowa River that situate the building into its unique setting at the University of Iowa. Through innovative strategies and successful achievement of environmental performance strengthen the achievement of campus wide greenhouse gas emission goals.